Excel has many useful features when it comes to data entry. And one such feature is Data Entry Form. Why Do You Need to Know About Data Entry Forms? But if data entry is a part of your daily work, I recommend you check out this feature and see how it can help you save time (and make you more efficient). It’s time-consuming. You need to enter the data in one cell, then go to the next cell and enter the data for it. Sometimes, you need to scroll up and see which column it is and what data needs to be entered. Or scroll to the right and then come back to the beginning in case there are many columns. It’s error-prone. If you have a huge data set which needs 40 entries, there is a possibility you may end up entering something that was not intended for that cell. A data entry form can help by making the process faster and less error-prone. Before I show you how to create a data entry form in Excel, let me quickly show you what it does. Below is a data set that is typically maintained by the hiring team in an organization. 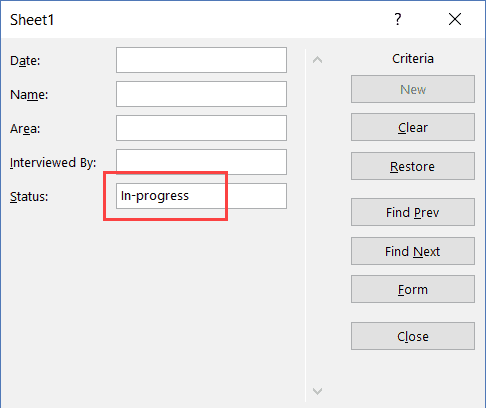 Every time a user has to add a new record, he/she will have to select the cell in the next empty row and then go cell by cell to make the entry for each column. While this is a perfectly fine way of doing it, a more efficient way would be to use a Data Entry Form in Excel. Below is a data entry form that you can use to make entries to this data set. The highlighted fields are where you would enter the data. Once done, hit the Enter key to make the data a part of the table and move on to the next entry. As you can see, this is easier than regular data entry as it has everything in a single dialog box. Using a data entry form in Excel needs a little pre-work. You would notice that there is no option to use a data entry form in Excel (not in any tab in the ribbon). To use it, you will have to first add it to the Quick Access Toolbar (or the ribbon). Right-click on any of the existing icons in the Quick Access Toolbar. Click on ‘Customize Quick Access Toolbar’. In the ‘Excel Options’ dialog box that opens, select the ‘All Commands’ option from the drop-down. Scroll down the list of commands and select ‘Form’. The above steps would add the Form icon to the Quick Access Toolbar (as shown below). Once you have it in QAT, you can click any cell in your dataset (in which you want to make the entry) and click on the Form icon. Note: For Data Entry Form to work, your data should be in an Excel Table. If it isn’t already, you’ll have to convert it into an Excel Table (keyboard shortcut – Control + T). A Data Entry Form in Excel has many different buttons (as you can see below). 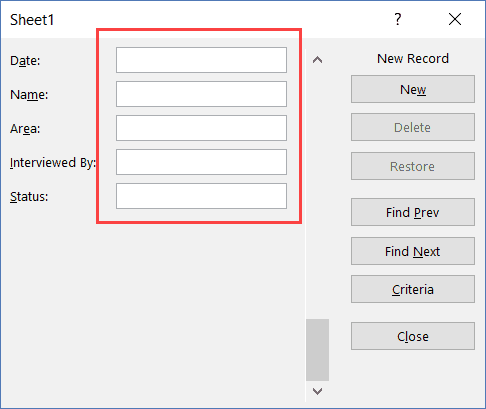 New: This will clear any existing data in the form and allows you to create a new record. Delete: This will allow you to delete an existing record. For example, if I hit the Delete key in the above example, it will delete the record for Mike Banes. Restore: If you’re editing an existing entry, you can restore the previous data in the form (if you haven’t clicked New or hit Enter). Find Prev: This will find the previous entry. Find Next: This will find the next entry. Criteria: This allows you to find specific records. For example, if I am looking for all the records, where the candidate was Hired, I need to click the Criteria button, enter ‘Hired’ in the Status field and then use the find buttons. Example of this is covered later in this tutorial. Close: This will close the form. Scroll Bar: You can use the scroll bar to go through the records. Now let’s go through all the things you can do with a Data Entry form in Excel. 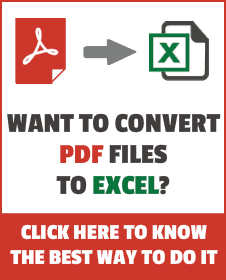 Note that you need to convert your data into an Excel Table and select any cell in the table to be able to open the Data Entry form dialog box. Select any cell in the Excel Table. 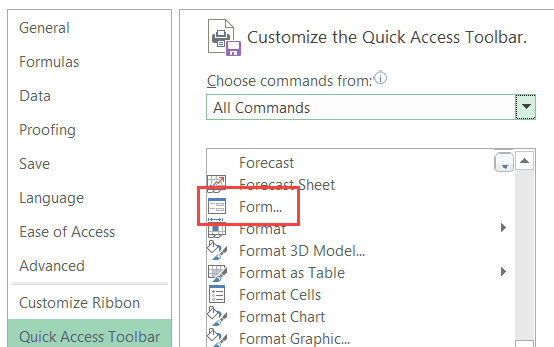 Click on the Form icon in the Quick Access Toolbar. Enter the data in the form fields. Hit the Enter key (or click the New button) to enter the record in the table and get a blank form for next record. One of the benefits of using Data Entry Form is that you can easily navigate and edit the records without ever leaving the dialog box. This can be especially useful if you have a dataset with many columns. This can save you a lot of scrolling and the process of going back and forth. To go to the next entry, click on the ‘Find Next’ button and to go to the previous entry, click the ‘Find Prev’ button. To edit an entry, simply make the change and hit enter. In case you want to revert to the original entry (if you haven’t hit the enter key), click the ‘Restore’ button. You can also use the scroll bar to navigate through entries one-by-one. The above snapshot shows basic navigation where you are going through all the records one after the other. But you can also quickly navigate through all the records based on criteria. 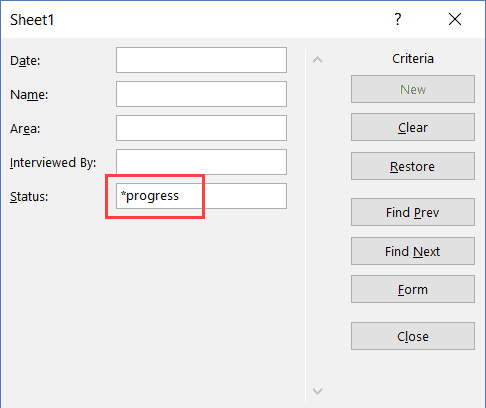 In the Data Entry Form dialog box, click the Criteria button. In the Status field, enter ‘In-progress’. Note that this value is not case sensitive. So even if you enter IN-PROGRESS, it would still work. Use the Find Prev/Find Next buttons to navigate through the entries where the status is In-Progress. Criteria is a very useful feature when you have a huge dataset, and you want to quickly go through those records that meet a given set of criteria. Note that you can use multiple criteria fields to navigate through the data. 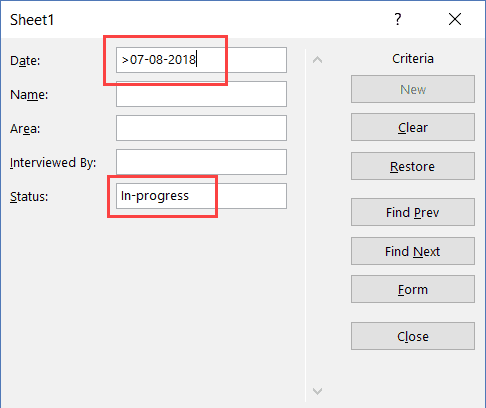 For example, if you want to go through all the ‘In-progress’ records after 07-08-2018, you can use ‘>07-08-2018’ in the criteria for ‘Date’ field and ‘In-progress’ as the value in the status field. 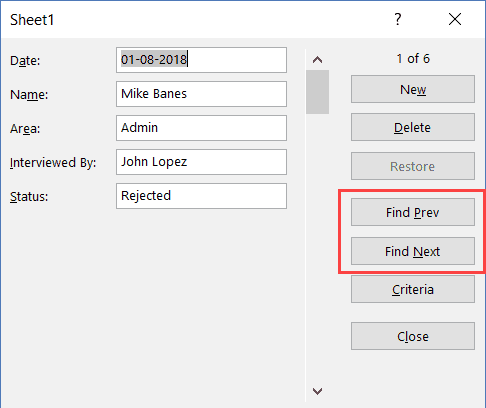 Now when you navigate using Find Prev/Find Next buttons, it will only show records after 07-08-2018 where the status is In-progress. You can also use wildcard characters in criteria. For example, if you have been inconsistent in entering the data and have used variations of a word (such as In progress, in-progress, in progress, and inprogress), then you need to use wildcard characters to get these records. This works as an asterisk (*) is a wildcard character that can represent any number of characters in Excel. So if the status contains the ‘progress’, it will be picked up by Find Prev/Find Next buttons no matter what is before it). 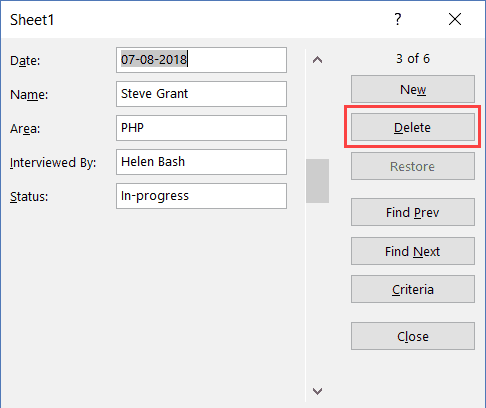 You can delete records from the Data Entry form itself. This can be useful when you want to find a specific type of records and delete these. While you may feel that this all looks like a lot of work just to enter and navigate through records, it saves a lot of time if you’re working with lots of data and have to do data entry quite often. You can use data validation in cells to make sure the data entered conforms to a few rules. 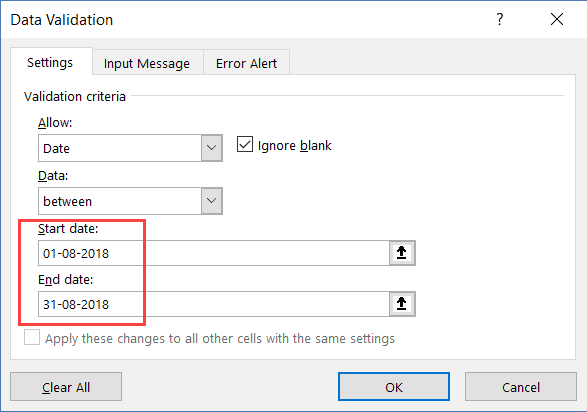 For example, if you want to make sure that the date column only accepts a date during data entry, you can create a data validation rule to only allow dates. If a user enters a data that is not a date, it will not be allowed and the user will be shown an error. 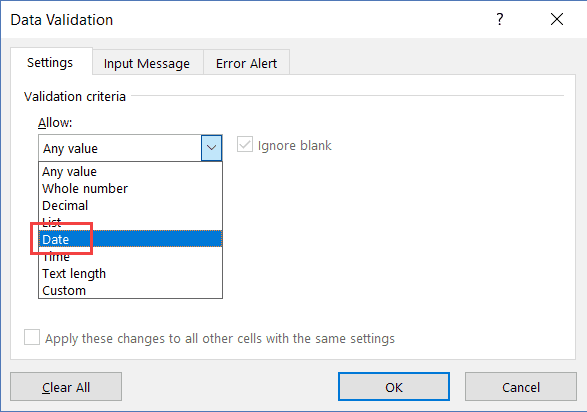 Select the cells (or even the entire column) where you want to create a data validation rule. In this example, I have selected column A.
Click the Data Validation option. In the ‘Data Validation’ dialog box, within the ‘Settings’ tab, select ‘Date’ from the ‘Allow’ drop down. Specify the start and the end date. Entries within this date range would be valid and rest all would be denied. Now, if you use the data entry form to enter data in the Date column, and if it isn’t a date, then it will not be allowed. Similarly, you can use data validation with data entry forms to make sure users don’t end up entering the wrong data. Some examples where you can use this is numbers, text length, dates, etc. You can use wildcard characters while navigating through the records (through criteria option). You need to have an Excel table to be able to use the Data Entry Form. Also, you need to have a cell selected in it to use the form. There is one exception to this though. If you have a named range with the name ‘Database’, then the Excel Form will also refer to this named range, even if you have an Excel table. The field width in the Data Entry form is dependent on the column width of the data. If your column width is too narrow, the same would be reflected in the form. You can also insert bullet points in the data entry form. To do this, use the keyboard shortcut ALT + 7 or ALT + 9 from your numeric keypad. Here is a video about bullet points. Drop Down Lists in Excel. Find and Remove Duplicates in Excel. I am looking for for the code of the data entry form. Where can I get it? Used excel for years did not know this feature exsited. Very beneficial! Super! Thanks a million! Super like. Really gained a lot by this blog. Am going to be benefitted with this for sure. Interesting tutorials. Thanks very much. certain options e.g.”form” is not available, how that can be made available in ‘quick access toolbar’. kindly advise. it is possible to use a dropdown menu in data entry fields ? I would like to know this as well. This form thing is just as simple as adding new info to the bottom of the list. Did anyone ever answer this question? I would like to know how to do this. A very clear and well laid out explanation. Is there a way to just show the form so that the table is not visible? Hey Garry.. You can create a user form with VBA to do the same job. It will allow you to customize the form a bit, but I guess even that wouldn’t be very neat. I don’t know how to get the code for in-built data entry forms. Any idea as to who you would ask to find out ? Also you can call the user created form from VBA but the table needs to be name either “ data” or “ Database “. It would make for an interesting posting from you to show users how to call up the form from a button.